2. From San Pablo Church ride a jeep going to Nagcarlan and ask driver to drop you off at Villa Sylvia Resort which is just along the road. 3. We chose the Cavinti Trek so we waited for jeepneys along the highway with Lucena signboard. We alighted at Cavinti near a tricycle terminal. 4. Ride a tricycle going to Pueblo El Salvador (jump off point/start of trek). Make sure to ask for the contact number of the tricycle driver so you can just text him to fetch you after the trek. 2. From Sta. Cruz, ride a jeep going to Nagcarlan. 3. From Nagcarlan, you can choose to ride a jeep going to San Pablo or you can ride a tricycle to reach the resort. 1. The resort, cross the road and wait for jeepneys going to San Pablo. Ask the driver to drop you off at Lake Pandin. Short trek starts at the parking lot. *Whew, that was quite a commute! From the resort, we have no prior knowledge as how to go from point A to point B. By simply asking the locals, we were able to reach our desired destinations and have passed by a good number of old churches. These natural bodies of water heed the call for adventure that no modern pool can provide. Wow! Very helpful guide! Thanks for sharing! Cheers!!! 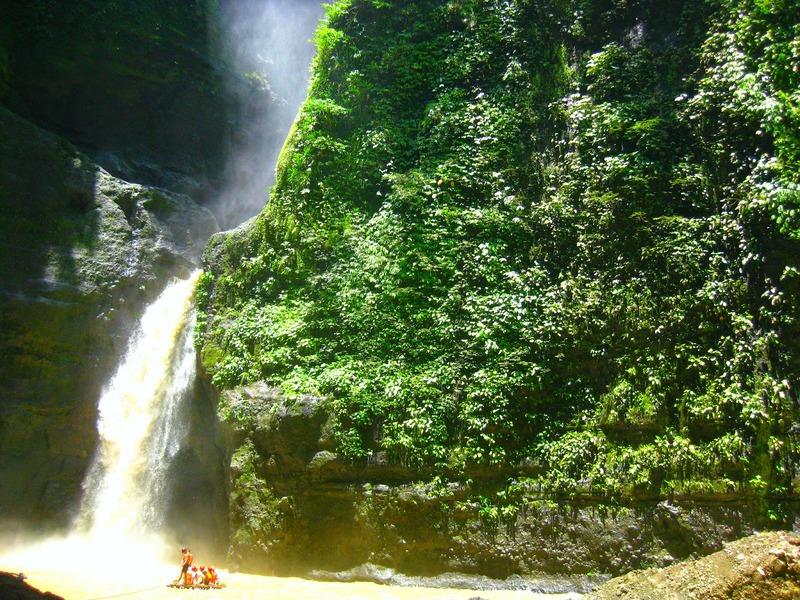 Is it safe to bring a car to the drop off point to the falls in Cavinti? Wow! 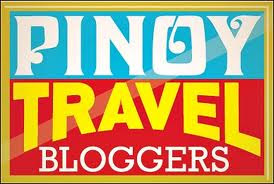 Your blog post makes me wanna go there this weekend! hahahah. I'm just not sure sa pagko-commute but I think it would be fun. =) Do you have any contact person? 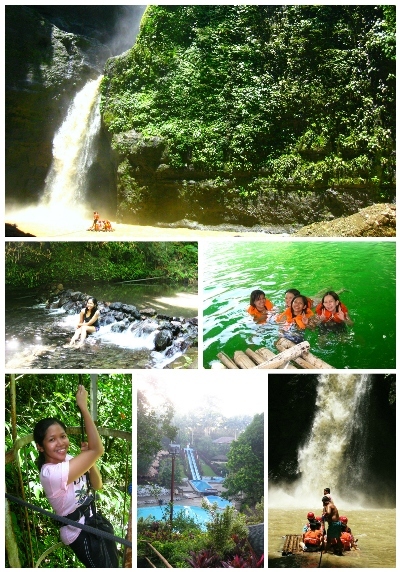 like sa pagsanjan falls package? I actually love your itinerary! 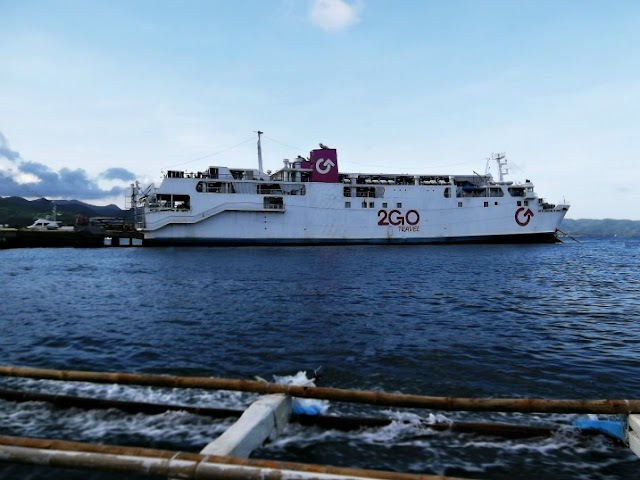 Parang ang saya sundin yung itinerary nyo. Thanks for sharing! Hope you could help me plan our trip to laguna. Hi. Nice blog. We are planning to go there this coming May. Is it ok if i'll get ur contact no. or just ur fb account for some of our questions. Thanks a lot!